After weeks of persistent rain it’s perhaps not surprising that hopeful Brits say sunshine tops the 10 best things about summer, followed by dining alfresco with family and friends and making the most of our time outdoors. The inclement weather has done little to diminish our enthusiasm for outdoor activities, with one festival, two theme park visits and five days on the beach making the summer to-do list, which was compiled by Homebase. And that’s not all. We can also expect to go through two jugs of Pimm’s, three packs of hay fever tablets and 18 salads before autumn sets in and the cold weather returns. Barbecue-bonkers Brits will host three grilling get-togethers of their own over the summer months and will be invited to three more by friends and family. And while a fifth prefer to don the apron and spatula at their own gathering, 45 per cent would rather attend someone else’s barbecue and save on the effort. 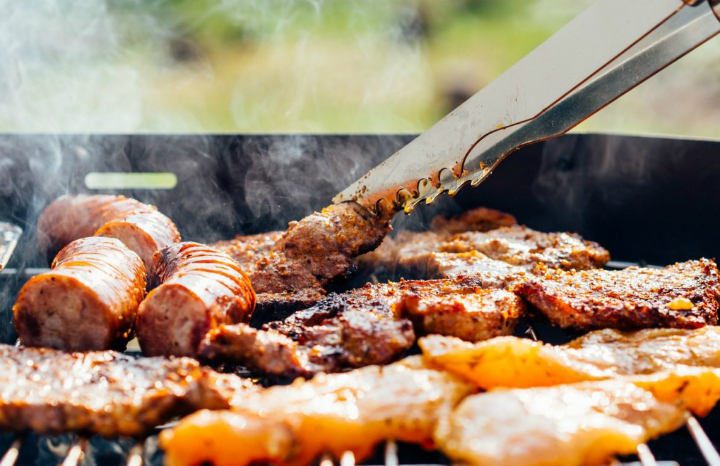 Almost a third of Brits think that the perfect summer’s day isn’t complete without a barbecue, while 30% would prefer to head to the beach. The summer ahead will also involve seven days holiday from work, five nights out with friends and one day playing host at a garden party, according to the research. For 80 per cent of green-fingered garden enthusiasts, the warmer weather gives us a greater opportunity to get out in the garden and tackle some much-needed weeding and preening. With regards to the summer sporting calendar, 42 per cent are counting down to the Rio Olympic Games and 41 per cent are loving watching Wimbledon. Quiz: Can you find these famous UK landmarks?